Organised by French magazine Yachts France in parallel with the 2017 Cannes Yachting Festival, the World Yachts Trophies are some of the most important awards in the yachting industry. The award ceremony was held on Saturday September 16 against the sumptuous backdrop of the Carlton hotel in Cannes. The Cannes Yachting Festival, which kicks off the international 2017/18 yachting season, comes to an end with a veritable triumph for the Italian shipyard, testifying to unanimous appreciation of its models’ innovation and quality, after an extremely favourable reception by the market. In addition to the four awards, the organisers presented the shipyard with a special acknowledgement to mark the 40th anniversary of the Cannes boat show, for having attended the boat show right from the very outset and continuing to be one of its main exhibitors. The Azimut 60 was awarded the Best Layout Trophy in the 50’ to 80’ category. The result of a masterful design partnership between Stefano Righini for the exteriors and Achille Salvagni for the interiors, this unique yacht features totally innovative solutions. The dinette offers unprecedented views of the sea, with cutaway gunwales and floor-to-ceiling windows, and in addition to dining, the space can also be used as a second lounge area by lowering the up/down table. Below deck, the Azimut 60 has a layout with three cabins and three bathrooms. Borrowing from home design, the full-beam owner’s cabin in the centre of the yacht stands out for the striking one-off suspended design pieces. Expressing a strong personality, they keep up the play on flowing lines in the other settings, while providing a remarkably high level of storage. The Azimut Grande 27 Metri wins the Most Achieved Trophy in the 80’ to 125’ category. Designed by the skilled hand of Stefano Righini, this unique concept wide body superyacht creates perfect harmony between flowing lines and unparalleled volumes for the segment. The vertical bow and big full-height windows, which rise from the hull and extend up into the superstructure, give the boat a sporty, edgy character and are its signature features. The Azimut Grande 27 Metri presents a unique widebody concept in this category, with the owner’s suite on the main deck and the possibility of five cabins, in what is an almost unique feature for a boat this size. The extensive use of carbon fiber, which Azimut has pioneered in all its collections, makes it possible to extend the space available without increasing the yacht’s weight, resulting in better performance in the water and unprecedented comfort onboard. The hard top, roll-bar, flydeck, superstructure and transom are pure carbon fiber, while the deck is hybrid carbon / glass fiber. The Azimut Grande 35 Metri triumphed with the Best Interior Design Trophy in the 80’ to 125’ category. Yet another recognition for the Shipyard’s flagship 35 Metri widebody, in which the shape of the interiors by Salvagni create sophisticated settings that express the new approach to well-being under the banner of calm and sophistication. The elements that make this a masterpiece of interior design include the owner’s suite on the main deck, conveying a sensation of openness and lightness in which the big central bed becomes the main feature around which the entire space revolves. The highpoint of the owner’s cabin is its unique private balcony, which is unprecedented on a 35-meter yacht. Using a highly sophisticated mechanism, the section of the full-height window with a carbon fiber frame folds out, while the floor of the balcony extends from under the cabin, protected by automatic stanchions. The result is the Instant Balcony, with no uprights or other obstacles to spoil the panoramic view from the owner’s suite. Finally the Azimut S7, the new arrival in the shipyard’s sports collection, won the Best Technology Evolution Trophy. Stefano Righini continues to innovate the S collection by Azimut, with increasingly sporty lines that celebrate both style and space. An innovative layout, sumptuous materials and unusual decor by Francesco Guida make this yacht a true novelty in the industry. Carbon fiber and three Volvo IPS engines deliver unprecedented size and performance, plus the best fuel efficiency on the market. The use of carbon fiber in the superstructure and pivoting platform mean that the Azimut S7 is the only boat in its segment to deliver so much space and 2-meter headroom on both the main and lower decks. This award is yet another recognition of the shipyard’s investments in technology and in R&D, including a post-curing oven for carbon fiber production at the Avigliana yard. In the run up to the Cannes Yachting Festival, where four new Azimut Yachts models will be making their world debut, the Avigliana-based shipyard has strengthened its presence in Europe with new dealership agreements in France and the UK and its entry into two new markets, Slovenia and Lithuania. These changes herald in a new era for Azimut Yachts in Europe, in line with the new brand strategy, La Dolce Vita 3.0, which celebrates next generation luxury, joie de vivre and the culture of ‘Made in Italy’. In France, one of the brand’s main markets in Europe, Azimut Yachts has signed a new exclusive dealership agreement. Starting in September, the brand’s products will be distributed on this market by the team at Azimut Yachts France, who will be presented at the Cannes Yachting Festival. Azimut Yachts would like to thank Philippe Blattes Yachting, the brand’s representative in France for 22 years, for their contribution to strengthening the brand and wish Philippe and his team all the best for the future. “The choice of a new dealer in France, which is a strategic market for us,” said Luca Cristino, Azimut Yachts Sales & Service Director Emea/Apac, “is in line with the new La Dolce Vita 3.0 brand strategy. I am sure the Azimut Yachts France team represents the best possible expression of these values and can convey both their energy and their professional approach to customers.” In the UK, the Azimut Yachts distributor is Azimut Yachts UK, which will be based in Southampton and led by General Manager Richard Cottrell. Azimut Yachts UK has a mission to transfer the Italian shipyard’s DNA to the Anglo-Saxon market and will be officially presented at the upcoming Southampton International Boat Show, where the brand will be exhibiting the 43 Atlantis, the 43 Magellano and the 50 Flybridge. The strengthening of the commercial network also includes strategic agreements in Slovenia and Lithuania, both potential growth markets, where Azimut Yachts will be distributed by two new partners, Azimut Yachts Slovenia and Azimut Yachts Lithuania. Historical Baglietto shipyard based in La Spezia, part of the Gavio Group, will be protagonist at the international boat shows with major partners sharing the same values of passion, excellence and Italian style. At the next Cannes Yachting Festival important partnerships with most relevant Italian brands will be announced, from haute couture to yacht decoration, from spirits to the famous wine tradition. Baglietto has chosen Sartoria Latorre, since 1965 one of the bespoke Italian tailoring worldwide, to design the Baglietto style; as the perfect fit and made-to-measure elegance of the Sartoria Latorre garments are the same that have always differentiate the Baglietto yachts. The combination with the shirts by Bagutta, since 1975 synonymous with shirts bearing the sartorial tradition and the Made in Italy label, is perfect. Speaking about Italian excellence, Acqua dell’Elba is the perfect example of best Made in Italy craftsmanship. Acqua dell’Elba will provide the Baglietto yachts with its new yachting line including courtesy pack, yacht accessories, beach towels and bath accessories. From haute couture to the good drinking: the Apulian “Calafuria” rosé wine from the Marchesi Antinori’s Torremaresca winery and the Campari cocktails will be the protagonist of the glamorous evenings organized by Baglietto on the French Riviera. achieved in the last ten years. Our customers are in the best of hands in Great Britain and in Spain, not just when it comes to sales, but for service as well. We wish Matthew Attree and Richard Hewett and the entire team at Clipper Marine continued success in line with the past few years and we offer our heartfelt congratulations”, said Stefan Klaassen, Head of Sales at Bavaria Yachts. Being involved in a creation as the sign of real wealth – this is the message of the new advertising campaign of CRN, the shipbuilder and historical Italian brand, part of the Ferretti Group, specializing in the construction of fully-custom steel and aluminium pleasure vessels between 40 and 100 metres in length. Owning an exclusive asset or using it to display one’s status is no longer enough. Today, real exclusiveness is having the opportunity to take part in its creation. The new campaign reflects the ongoing evolution in CRN’s communication. The concept of ‘bespoke product’ takes on a new meaning, opening up to an Owner that dreams, designs, and imagines, as happens in any truly creative process. Hence, the core theme and payoff of the campaign, ‘Made by you with our own hands’, which epitomises not only the idea of being the owner of an asset, but also the opportunity to customise it in every detail. CRN grants this expressive freedom, turning Owners from mere ‘possessors’ into real authors. The CRN shipyard’s design expertise blends with the Client’s talent and vision, to create a unique style, capable of reflecting the Owner’s personality to the fullest. In the new international campaign, developed by the agency Aldo Biasi Comunicazione, the elegance of the new 74-metre Cloud 9 becomes the undisputed protagonist, perfectly embodying the new communication concept. The latest masterpiece by the Italian brand, which will be presented as a world première at the Monaco Yacht Show, was entirely built around her Owner’s vision, skilfully harmonising the outstanding functionality of both exterior and interior areas and the sophisticated design of the interiors. CRN’s new campaign ‘Made by you with our own hands’ will be displayed in selected international trade magazines starting in September 2017. 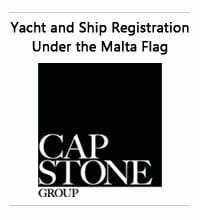 The Cannes Boat Show will be the ideal setting for presenting a major novelty regarding Cantieri Estensi Yachts: the birth of Cantieri Estensi Europe, which will have the exclusive right to distribute Cantieri Estensi boats in the Eur-Med territories, namely Italy, France, Monaco, Switzerland, Croatia, Spain and Germany. 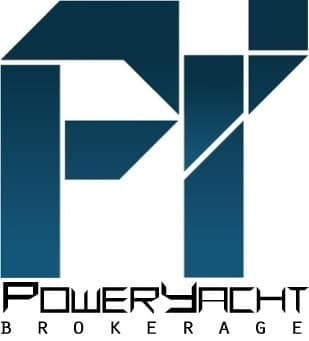 The company is run by a team of professionals with over 15 years of experience in the national and international nautical sector and has a global expertise in yachting: key figures that will assist the founders will be a General Manager, a commercial director for the foreign market and a commercial referent for the Italian market. Among the objectives of Cantieri Estensi Europe is, first of all, the creation of a completely new commercial network for both Italy and foreign countries. Four dealers/agents have been already selected so as to cover the North-West of Italy (Piedmont, Valle d'Aosta, Liguria, Tuscany and Lombardy), Lazio, Sicily and the Center-North Adriatic area, while the company is in the process of recruiting a few applicants for the remaining Italian areas. With regards to the foreign countries Cantieri Estensi Europe aims to serve, a selection of exclusive dealerships is being selected, focusing on candidates who have a wealth of commercial experience and appropriate facilities to support the brand on the territory, both from a commercial and from a technical assistance point of view, being these key factors of the project. For Cantieri Estensi Yachts this is new step in the relaunch of the company. Simone Giudici, the shipyard’s CEO, comments: "The four-year industrial plan conceived in 2015 is proceeding as programmed, in parallel with the renewal and growth path we have undertaken with the new corporate structure. In June, there was a remarkable increase in capital and we are now strengthening the international presence of the shipyard while reinforcing our business relations as well the links with strategic suppliers. In addition, we are now focusing more and more on the development of new products to be launched on the market. Regarding the production, we are also continuing expanding our products offer: up to now, we have a significant and important fleet of Maine yachts, which will be joint by the new Maine 645. Cantieri Estensi Yachts was the first shipyard to produce fast and luxury trawlers years ago in Italy, boats that had no market in our country until then. Today, we can see many builders that started to build trawlers following our example: a further demonstration for us of the success of our long-range strategy. The management of Cantieri Estensi Europe expressed great satisfaction and strong motivation for the agreement and upheld the importance of Cantieri Navali Estensi Srl’s business plan, which is geared towards a marked increase in the Italian market and towards an expansion of the international market. Cantieri Estensi Europe’ willing to find an experienced partner in the Italian and international yachting industry in order to create a strong synergy and a constant interaction between production and commercial network provided a further motivation to this new challenge. Cantieri Estensi Europe is working with passion to increase the prestige and the quality level of Cantieri Estensi Yachts respecting the tradition, with the certainty of becoming a symbol of the excellence of Made In Italy. The news regarding this booming shipyard do not end here. Starting from 2018 and for the next 5 years, Cantieri Estensi Yachts will launch 10 new models on the market. For the third year, after the great success of the previous editions, Rossinavi confirms the iconic first model by Evo Yachts as its official tender for the Monaco Yacht Show 2017; from the 27th to the 30th September, the innovative Evo 43’ will accompany on the waters of the Principality the exclusive clientele of the shipyard. The choice to renew this partnership has been inspired by the strong affinity between the two Italian shipyards in their ideas of design and innovation. Evo 43’, thanks to its design and functionality, embodies the values of a way of conceiving the yachting that joins Rossinavi and Evo Yachts and that reflects the desires of the many millennials who are now entering the industry, but conquers – at the same time – those who already have many years of experience in this sector. When Duran Duran appeared on a stage that seemed to skim the water’s surface and surrounded by magnificent boats, the Ferretti Group's guests must certainly have felt that they could identify with the sentiment expressed by the title of one of this legendary British band’s famous songs: All You Need Is Now. The spectacle and glamour of this memorable event were made tangible in the enchanting Monégasque night. A live performance full of hit songs and energy once again proved Duran Duran's boundless talent, as they switched between irresistible dance rhythms and the pop songs that have made music history for the last thirty years. The Ferretti Group and the Yacht Club De Monaco renewed a partnership that is unique worldwide and capable of producing an unforgettable event for the third year in a row. “Extraordinary World”, a name inspired by Ordinary World, one of the British band's most famous hits, was the name given to this private concert celebrating the Ferretti Group’s unique and extraordinary ability to design and build yachts that go far beyond the ordinary. “I have followed Duran Duran's career since they first started out, and I have always loved their songs as well as their ability to change and experiment without ever losing their identity or their inspiration”, commented the Ferretti Group's Chief Executive Officer, Alberto Galassi. “Duran Duran agreed to put on this one-time, one-of-a-kind concert for our yacht Owners and for the members of the Yacht Club de Monaco. They are an extraordinary band, which, like our yachts, has style, personality, and that ability to innovate and experiment which always puts you a step above the rest, in music as in shipbuilding. It’s no coincidence that they have come through diverse eras but always remained at the top. Thanks to their music and our guests, the Ferretti Group Private Preview 2017 has once again been an evening to remember.” The set list, which elicited an enthusiastic response from the over 500 guests, was a triumphant parade of hits ranging from Ordinary World to the songs that first made the band famous, like Wild Boys, Notorious, Hungry Like a Wolf, Girls on Film, A View to a Kill and the more recent Pressure Off and White Lines. The encore was marked by the legendary hits Save a Prayer and Rio. “We are happy that our renewed partnership with the Ferretti Group was able to produce this fabulous private concert”, declared Bernard d’Alessandri, Secretary General of the Yacht Club de Monaco. “And we were delighted to welcome Simon Le Bon, who is passionate about yachting. I also remember well his participation in the 1985/1986 Whitbread on Drum, a truly unique sailing adventure.” A fleet consisting of a full 25 vessels, moored in front of the Yacht Club and representing all of the Ferretti Group brands provided a luxurious backdrop for the concert, rendering even more extraordinary this event that opened the third edition of the yearly Private Preview. From their privileged positions in seats on the Quai Louis II and from the terraces of the Yacht Club, guests were able to admire 6 new yachts that are making their international première: the new flybridge boats Ferretti Yachts 780 and Ferretti Yachts 920, the Pershing 9X, the new Riva flybridge yacht 100’ Corsaro and the most recent addition to the open fleet, the 56’ Rivale, along with the Navetta 33, the second semi-displacement ship in the Custom Line fleet. The 40th Cannes Yachting Festival will be remembered by Ferretti Group as an event of new records and triumphs. The Group was indeed awarded ‘Shipyard of the Year’ and won another four awards at the World Yachts Trophies 2017. The Group can therefore celebrate five awards at this edition of the prestigious Trophies held by the nautical magazine “Yachts France”, which for 16 years have awarded the best new models presented at this unique and extraordinary ‘stage’ on the Cote d’Azur. This is undoubtedly a magic moment for the Group, which had already been a ‘record-setter’ at this year’s edition of the Cannes Yachting Festival by exhibiting the largest fleet of the show - as many as 24 models ranging from 8 to 37 metres in length - as well as the largest number of premières, 6, representing the Ferretti Yachts, Pershing, Riva, and Custom Line brands. These five fabulous awards have further acknowledged the value of some of the new models recently presented to the market and of Ferretti Group as a whole, able to firmly regain the top of worldwide yachting in just 3 years. “Speaking in poker terms, we really had all it took to make this ‘Royal Flush’, and we are therefore extremely proud of these five incredible awards, which pay tribute to the beauty of our magnificent yachts, as well as to the great commitment that our Group, at all levels, has devoted to the business over the last few years. Our efforts have allowed us to successfully reverse the trend and go back to where Ferretti Group deserves to be: at the top of world yachting - commented the Group’s CEO Alberto Galassi. “The Best Shipyard of the Year award at the World Yachts Trophies 2017, together with the other 4 won by Ferretti Yachts, Riva, CRN, and Custom Line also recognise the success and soundness of our industrial plan: we were able to launch 24 new models in 3 years and to achieve outstanding results that will now allow us to take up the next challenges posed by the market with even stronger will and enthusiasm. We are working on 2018, when we will be presenting 8 new models and will celebrate important accomplishments and milestones, including the 50th anniversary of Ferretti Yachts. Today we are savouring our triumph, but tomorrow we will go back to working on the challenges ahead of us in this new nautical year. Our Group has ambitious objectives and clear strategies; we have human and financial resources to achieve them. We will keep growing”. Here are the 5 awards won by the Ferretti Group at the World Yachts Trophies 2017: - Ferretti Yachts 780: Best Interior Design Trophy, category from 50 to 80 feet (15-24 metres); - Riva 56’ Rivale: Most Achieved Trophy, category from 50 to 80 feet (15 – 24 metres); - Custom Line Navetta 33: Best Exterior Design Trophy – category from 80 to 125 feet (24-38 metres). The new Riva 100’ Corsaro had also been nominated in this category; - CRN 74 m “Cloud 9”: Best Layout Trophy, category from 164 to 270 feet (50-82 metres) - Ferretti Group: Special Trophy Best Shipyard of the Year. Princess Yachts continues to sail ahead of the competition  and has emerged from the Cannes Yachting Festival with order books reaching a record 0.73billion (£0.64billion) at retail value. Representing an 85% like-for-like increase on 2016, the news heralds a formidable start to the boat show season for the UK's leading yachtbuilder, which employs 2,500 people at its Plymouth manufacturing facilities. The manufacturer, which marked its 50th anniversary in 2015, has embarked on a £100m five-year investment programme to support its ambitious product launch and business development strategies. The company's Executive Chairman, Antony Sheriff, said: "Our production capacity is now 100% sold for 2017, 90% sold for 2018, and 30% sold for 2019. The significant investments we are making will enable us to further expand our product range and offer unrivalled choice to our customers, as well as enhancing facilities and quality processes at our Plymouth home." The Cannes Yachting Festival kick-started the boat show season in style for Princess, with the global launch of the Princess 62; within the same week, the Southampton Boat Show saw the global launch of the Princess 55. The coming months will see a revitalised V Class portfolio  with the all-new V65 and V60 following the success of the award-winning V58 and the new-style V40 launched in London earlier in 2017. Meanwhile, the S Class range is strengthened with the all-new S78, adding to the S60 (launched at Dusseldorf in January) and the S65. Following these launches, there are plans for a further six new Princess model launches before the end of 2018. At Cannes, Antony Sheriff also hinted at the forthcoming announcement of a radically different Princess product. Bringing an entirely new dynamic and aesthetic to the market, the initiative places the company firmly at the cutting edge of marine technology  made possible by its commitment to pioneering design, innovation and craftsmanship. Princess is also blazing a trail with innovation designed to enhance the yacht ownership experience.Princess Lifeline is a new 24/7 global SOS package offering comprehensive medical and security assistance, powered by MedAire. Every Princess yacht now comes with a 2-year Princess Lifelinecover as standard for the well-being of Princess customers and their guests whilst aboard. Luxury yacht manufacturer Princess Yachts has partnered with the world's premier global emergency response service MedAire to launch Princess Lifeline  a new 24/7 international SOS service that will give all new Princess yachts and their owners access to medical and security assistance, wherever they are in the world. Every Princess yacht now comes with a 2-year Princess Lifeline cover as standard for the well-being of Princess customers and their guests whilst aboard. It provides around the clock global access to medical and travel safety experts, real-time travel safety information and primary contact throughout your trip. For the luxury yacht market, it is an exceptional level of customer service that has never before been included as part of a yacht purchase. Ahead of embarking on a trip customers can contact Princess Lifeline for medical and safety recommendations as well as geographic-specific travel risk intelligence, or can call to receive immediate medical assistance while at sea or ashore. From advice on how to treat the ill and injured, how to utilize onboard medical resources, arranging transport and appointments at onshore medical facilities and even managing medical fees or advising required vaccinations before travelling - Princess Lifeline: powered by MedAire will make it easier to ensure the safety and wellbeing of all guests and crew. Established in 1985 and with a team of over 200 global security experts and 80,000 accredited medical providers, MedAire, an International SOS Company, is recognised as the world's leading yachting-specific provider of travel safety solutions. Antony Sheriff, Executive Chairman for Princess Yachts said of the partnership: "At Princess Yachts we prides ourselves on providing the best service for our owners - from design through to delivery, and the well-being of our customers is paramount. The partnership with MedAire will not only ensure all our owners and crews have access to the best medical and security advice and support, but will help guarantee our customers have an exceptional experience onboard their yacht, wherever they are in the world." Steven Bates, Managing Director of Europe for MedAire added: "On average we handle over 1,500 yachting specific health and safety incidents a year so a dedicated partnership with Princess makes perfect sense. We can now offer Princess customers a tailored service through Princess Lifeline to ensure both crew and guests have the best, and safest, experience possible." Princess Yachts takes visual production to a new level with the premiere of its stunning new film, starring real people and real crew. Ambitious story boarding meets continuous motion, complex rigging, and an exquisite backdrop, all underpinned by a stellar soundtrack and captured by iconic cameras and vintage anamorphic lenses. Designed to bring to life the exceptional experience of life aboard a Princess and to showcase the 35M as the ultimate family-oriented superyacht the luxury yacht brand tells the story of a real family enjoying quality time together aboard their boat in Mallorca. To create this cinema-standard, six-minute mini-movie, Craft Films chose to shoot on the Arri Alexa coupled with Panavision G series anamorphic lenses, to capture the yacht with a luscious tonality. The lenses had to be lightweight as the film crew were using a handheld gimbal, often rigged with a complex cable and pulley system to enable the camera to track across the exterior of the yacht while out at sea. Shooting on water in open conditions presented a number of other complications: keeping the light consistent, combating changing winds, positioning the superyacht in a current over an ever-shifting tide, limits on numbers aboard while out at sea, and dealing with moisture in high heat and humidity, to name but a few. The team met these challenges and produced a remarkable film with a soundtrack by Esperanza Spalding, and a striking animation sequence of the brand's conservation champion, Enid. 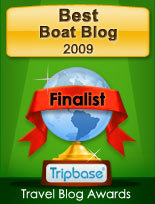 Riviera has proudly announced the best of the best among its Australian and New Zealand R Marine dealer network. Announcing the R Marine Dealer of the Year awards, Riviera Chairman and owner Rodney Longhurst said the judges had a difficult task in selecting one Dealership. "Every one of our R Marine Dealerships has performed magnificently over the past year, but in the end there has to be a winner," he said, revealing that R Marine Sydney has won Riviera's Dealership of the Year. "The team at R Marine Sydney has demonstrated excellence in every aspect of their activities, from owner service to support and event management - all revolving around the owner experience," said Mr Longhurst. R Marine Sydney Dealer Principal Michael Joyce accepted the award on behalf of his team. "We are proud to be a part of the incredible R Marine network and I am personally very proud of the team I lead," said Mr Joyce. "We keep raising the bar in our commitment to our owners and this year opened a new service facility on Sydney Harbour. This will further enhance our support for all Riviera and Belize owners." R Marine Sydney also took out the award for Sales Excellence by a Dealership. Accepting the award for Service Excellence by a Dealership, New Zealand’s R Marine Flagship Director Dean Horgan said: "This award reflects the hard work our large service team has put into expanding their technical knowledge over the past few years. "We have a constant drive to teach and to learn and to improve the skills and dedication of our entire team." Mr Longhurst explained that the awards are judged over a wide range of criteria and span a full 12-month period. "The Dealer of the Year award is judged according to the Dealership's relationship with owners, how well they adhere to the Riviera, Belize and R Marine standards, how they conduct Experience and educational events for owners and overall sales performance. "Relationship with owners is vital in our judging. The Dealerships and the individuals are judged according to the owner experience and feedback over an extended period. "Ensuring our Riviera and Belize owners have 'the boating time of their lives' is the reason we exist, so powerful, positive feedback is paramount to us. "This applies whether we are judging overall excellence, service excellence or sales excellence." The R Marine network exclusively represents the Riviera and Belize brands throughout Australia and New Zealand and is the Asia Pacific’s most experienced luxury motor yacht dealer network. The new Sabre 45 Salon Express just won The People’s Choice Award at the Newport International Boat Show, meaning that more people who paid to go to the show liked this classic Down East two-stateroom, two-head, user-friendly cruiser than any other boat there. And it’s easy to see why. From start to finish, this new built-in-Maine beauty is made for the way people cruise today. At 45 feet, with IPS joystick controls, it’s easy for a relatively new cruising couple, or a pair of old salts, to handle. They can live on it for a long time, cruising by themselves, if they want; they also can cruise with a pair of guests in a separate stateroom (friends, children, grandchildren, whatever), or they can go out for the day with a lot of friends who just want to relax in the bright, light-filled salon and sociable cockpit. Double award for Sanlorenzo at the World Yachts Trophies 2017 ceremony in Cannes, where also superyacht 52Steel Seven Sins succeeded, winning “best interior design” in the category of superyachts from 50 to 80 meters. 52Steel Seven Sins is the first 52-meter model in metal launched by the Sanlorenzo Superyacht Disivion, that has introduced on this vessel many innovative features, always respecting the refinement and design that identify Sanlorenzo, like the astonishing beach area astern: a large full-beam space in direct contact with the water, thanks to the lateral openable terraces, and bathed in natural light coming through the above swimming pool. This space easily converts into a floodable garage, hosting a tender up to 8-meter in length. The new crossover yacht SX88 by Sanlorenzo was awarded “most avant-gard yacht” of the year. Sanlorenzo is proud to announce the signing of a new dealership agreement with Mr Philippe Blattès PB-Yachting, an important yacht company which has been active in France, UK and Principality of Monaco for more than 25 years. In those regions, Philippe Blattès PB-Yachting will be the exclusive dealer for the Sanlorenzo’s fiberglass Yacht Division: SL line (planning hull models with flying bridge: SL78, SL86, SL96, SL106, SL118), SD line (semi displacement: SD92, SD112, SD126) and the new crossover SX line, which first model SX88 debuted at the Cannes Yachting Festival 2017. Sanlorenzo France with office in Port Camille Rayon in Golfe Juan French Riviera, Sanlorenzo London in Mayfair and Sanlorenzo Montecarlo are the three new Sanlorenzo embassies where, the most demanding yacht owners and enthusiasts, can get in touch with the made-to-measure philosophy of the Italian shipyard. Sunseeker International is pleased to report a strong performance in 2017, with forecasted significant growth in revenue of 10% and 15% in volume vs the previous year and a substantial improvement in profit for the overall year vs 2016. The figures are the result of a significant restructuring and refocusing of the business, together with substantial investment across new product, improved facilities and its people. The market reaction to the company’s compelling new products and existing model refreshes has been particularly strong and has created a robust platform for future profitable growth. The results also cement Sunseeker’s position as Britain’s biggest boat builder and the world’s leading brand for luxury performance motor yachts. Phil Popham, CEO of Sunseeker, commented: “Sunseeker is global leading luxury brand which is a profitable, stable business with excellent growth potential. We have a strong forward order book, with 90% of capacity sold for 2017 and 50% already sold for 2018. Our robust NPD process has helped us achieve this success; delivering exciting new models, such as the hugely successful Manhattan 52 – our fastest selling model ever – as well as the Predator 57 MK II, Manhattan 66 and the new 76 Yacht, which is already proving to be extremely popular. “We are continuing to invest in our facilities and people, with the creation of 122 jobs this year and a further 124 by January 2018 in order to meet the increase in demand across the model range.” Phil continues: “We have some bold new product plans that will see us move up into larger superyachts using different build methods and materials for the first time and we will also be reaffirming our sporting heritage with the introduction of new smaller performance models. 2017 has been another defining year for Sunseeker and we are extremely optimistic about the future.” Sunseeker will be unveiling two new models at the Southampton Boat Show – the 76 Yacht and the Predator 57 MKII, which have been developed with current and future trends in mind. The exciting all-new 76 Yacht delivers an unprecedented level of luxury, sociability and entertaining space. Clever design maximises these traits, whilst an innovative use of glass enhances natural light, making this a bright and airy boat in which to relax and unwind. Furthermore, with 18 yachts already pre-sold, its desirability is evident. The Predator 57 MKII is an evolution of the popular Predator 57, which has been leader in its segment since its introduction in January 2015 and now offers even more elegance and style. Britain’s biggest boat builder, Sunseeker International, is delighted to support the Royal Air Force Aerobatic Team, the Red Arrows’ overseas tour this autumn. The deployment will see the team visit destinations from mainland Europe to the Middle East including Cannes, Athens, Jeddah, Riyadh, Kuwait, Doha, Karachi, Bahrain and Muscat. Over 37 days, the world famous team will cover some 8,432 nautical miles, performing eight displays and carrying out three flypasts as part of its efforts to promote the UK across the globe. Sunseeker is delighted to have marked the Cannes Yachting Festival’s 40th anniversary with a dedicated flypast at 10am on Friday 15th September. Launched in 2012 to capitalise on the excitement and interest generated by the Diamond Jubilee and London Olympics and Paralympics, the GREAT Britain campaign can now be seen in 144 countries worldwide. Sunseeker has been an active supporter of the GREAT Britain campaign since 2015, when it launched its GREAT edition of the San Remo yacht dressed with a vibrant Union Jack wrap at the Southampton Boat Show. The Red Arrows are one of the world’s premier aerobatic teams, showcasing the excellence of the Royal Air Force and representing the United Kingdom at home and overseas. Comprising 120 people, including skilled pilots, engineers and support staff, the team flies British-made Hawk fast-jets and has displayed more than 4,800 times in 57 countries since 1965. Sunseeker International is delighted to announce that two time world hurdles champion Colin Jackson CBE, sports commentator Suzi Perry and X Factor winner Ben Haenow, where the brand’s special guests at this year’s Southampton Boat Show on Friday 15th September. Colin, who is best known for his success and world records in the 110m and 60m hurdles, and more recently his coverage of the athletics across the BBC will be opening the stand with Sunseeker founder, Robert Braithwaite CBE DL and CEO Phil Popham. Colin will also introduce Sunseeker’s new long-term partnership with Blue Marine Foundation (BLUE), a charity dedicated to protecting the oceans for future generations to enjoy. The partnership with Sunseeker will increase awareness of ocean conservation by encouraging people to think about their impact on the oceans and how they can help save our most valuable resource. Suzi Perry will also be at the opening and is a long-time friend to Sunseeker. Suzi is renowned for becoming the first permanent female presenter of Formula One racing on British TV. Colin and Suzi will be joined by X Factor 2014 winner, Ben Haenow who will be singing for everyone’s enjoyment. His debut single reached number one in the UK singles chart becoming the 2014 Christmas number one. Ben has since released his debut studio album and will be going on tour this December. The show saw Sunseeker launch two world premieres - the 76 Yacht and the Predator 57 MKII. Viking Yacht Center was honored to be a stop on this year's Run For The Fallen. Blazing a tribute trail of over 6,000 miles across the nation, The Run recognizes nearly 20,000 fallen service members. Each mile of The Run is dedicated to one or more U.S. service members, and the runners stop every mile at a Hero Marker. At the stop they announce the hero's name out loud and present an American Flag and a personal biographical card to the waiting family members, friends and comrades. Viking is proud that to have the strongest dealer network in the world, with its domestic and international dealerships all encompass solid leadership, established relationships and many offer multiple locations. One of the reasons Viking continue to lead the industry is because of the education and opportunities it provides to its authorized network. Throughout the year Viking dealer principals and sales representatives are invited to New Gretna, New Jersey, home of the Viking Yacht manufacturing facility, to spend a few days for interactive, hands-on training. Viking's Sales Department hosts this Master's Program and takes the teams through the build process, discusses new technology and demonstrates features unique to our product. 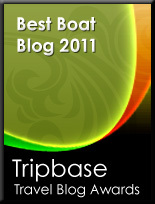 It's also a great opportunity to receive feedback on Viking boats so it can continue to build a better boat every day. Patrick Healey, President and CEO of the Viking Yacht Company, was honored last week by the Shore Medical Center's "A Cause to Celebrate" gala in Atlantic City, New Jersey. As a community leader and longtime supporter of Shore, Patrick was celebrated at the social event of the year in a ballroom filled to the gills. In addition to delicious food, a live band and dancing, there was a silent auction that raised over $500,000 benefiting Shore Cancer Center. Larry Hesse's Viking 70 Goin' In Deep made history at last week's MidAtlantic fishing tournament. For the first time in the tournament's 26 years, a participant won two of the event's major categories. Larry and his son, Larry Jr., with captain Walter Harmstead at the helm, were the big winners at the event as they weighed the top blue marlin at 680 pounds and the Heaviest Tuna, a 184-pounder. After boating the blue early in the day, Goin' In Deep was trolling back to the scales when they got covered up and landed the massive tuna. These two feats allowed the Goin' In Deep crew to collect a seven-figure check. Art Kontos and his crew on the Viking 68 Let It Ride took 2nd Place Heaviest Billfish with a 677-pound blue marlin, just three pounds behind Goin' In Deep. Ken Hager's Viking 50 Taylor Jean claimed the 2nd Place Heaviest White Marlin at 72 pounds. Captain Brian Komer on the Viking 62 and the Viking 60 Caitlin tied for 2nd Place in the tuna division with each weighing a 72-pound fish. Bob Book's Viking 62 Book Ends won the wahoo category with 53-pound 'hoo. Of the 10 top spots on the MidAtlantic leader board, seven were filled by a Viking. The additional calcuttas and jackpots were also dominated by our proud fleet. Always forward thinking, the Viking Yacht Company's proactive healthcare and wellness initiatives for employees started over 30 years ago and continues to grow. In addition to having an onsite Medical Department and Viking Wellness Center physical fitness facility, Viking has just added SphygmoCor XCEL to its list of employee benefit programs. This program gives access to leading technology for central blood pressure and arterial stiffness measurements, as well as brachial blood pressure, to better inform and individualize blood pressure management. SphygmoCor provides valuable information about the heart and arteries, and can help providers manage blood pressure to goal, potentially reducing damage to the heart, brain and kidneys. The results are key in making more informed treatment decisions. "We are proud of our employee wellness program. With the addition of SphygmoCor, we now have a more advanced tool to help our employees better understand their cardiovascular risk. They can also use this information to track results of lifestyle modifications and other interventions," said Robert Healey, Sr., Chairman and CEO of Viking Group. "Employee health is important for many reasons, for everything from personal health to corporate productivity."